I am writing this post from Liverpool Lime Street as my poorly car is in the garage. I am on my way home from the support group meeting which was held at the Roy Castle Lung Cancer Foundation. Now, we are coming up to holiday season and with six regular attendees unable to join the meeting, we were expecting a quiet one. Boy, were we wrong! Six new people joined us today which is fantastic. We also had a representative from Macmillan come along to see what we are all about. Support groups are not for everyone, but I love our group. It gives me a chance to mingle with people, informally, who have been affected by this rare cancer. Whilst I would not wish cancer on anyone, there’s something reassuring knowing that there are people out there who understand what you are going through, know how you feel and well, are just there for you. 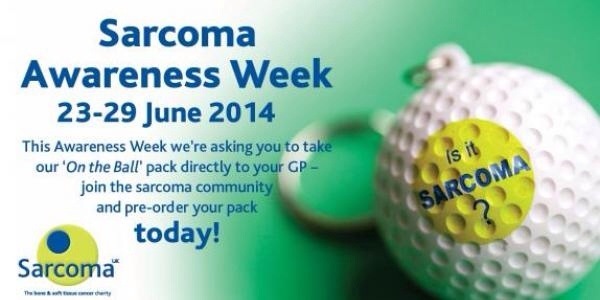 Today we had a family attend who had lost someone close to a rare form of sarcoma. Our support group is open to patients, families, friends and carers. I would like to thank Rob and Lesley for doing a fantastic job running the group. I had a catch up with Dr Ali on Friday. Things are looking good so now…I need to start living again. So I’m aiming to return to work in June. Yikes! 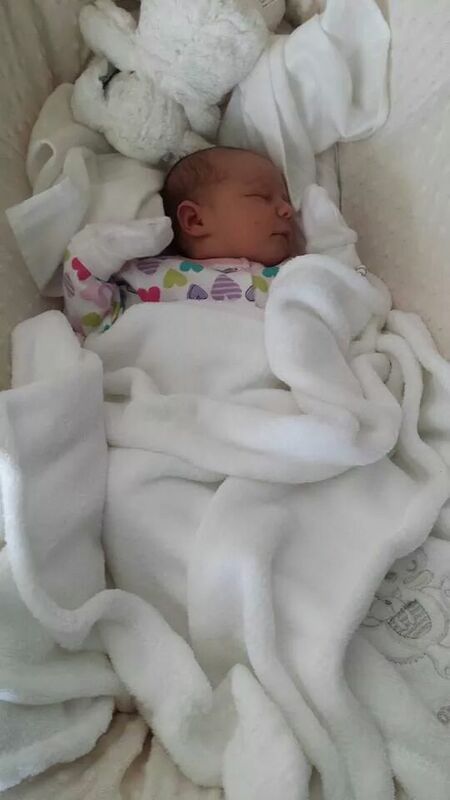 No more daytime TV for me…..
My sister gave birth to this Beauty last week who was 7lb 13oz. Slightly heavier than my tumour was. Wowzer! Certainly put that into perspective! Well that’s me for today. 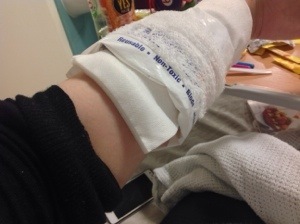 So, I’m still recovering from my operations. It’s been more painful than I expected but then that’s probably down to the fact that I had two procedures so close together. I’ve had all stitches removed, removed all dressings and my scars are healing nicely. I am back to see my surgeon tomorrow for a check up so fingers crossed the were positive results from the tumour removed in my last surgery. In two weeks I’m off to the House of Commons to participate in Macmillans Question Time event. Macmillan work with both the government and people affected by cancer to drive change. A huge success of theirs is gaining free prescriptions for cancer patients. This event is just one way to shape the future and gain insight to requirements and work with the government to deliver change. ~ Secure improvements to the welfare system for people with cancer who are unable to work because of their illness. I am really pleased I’ve been accepted and think it’s going to be a great day. Have you ever wondered what it’s like to be an Oncologist? Well this wonderful man follows my blog and he also does his own. You never really think how Doctors and other Health Professionals feel when dealing with their patients, but this blog gives you an idea. It’s a wonderful read. 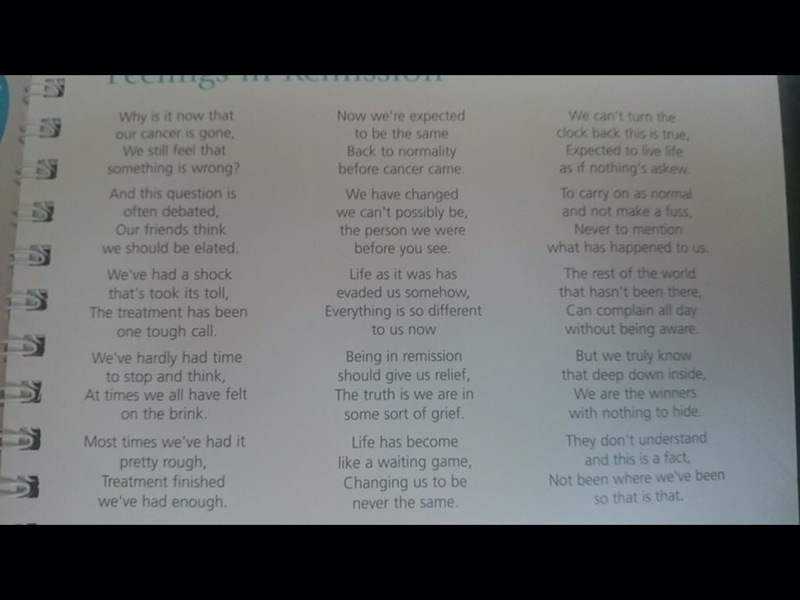 Well, who can believe that I’ve finally finished my chemo. It doesn’t seem five minutes since I had my CT scan and was sat I front of Dr Chandra being told we have to start this fight again. 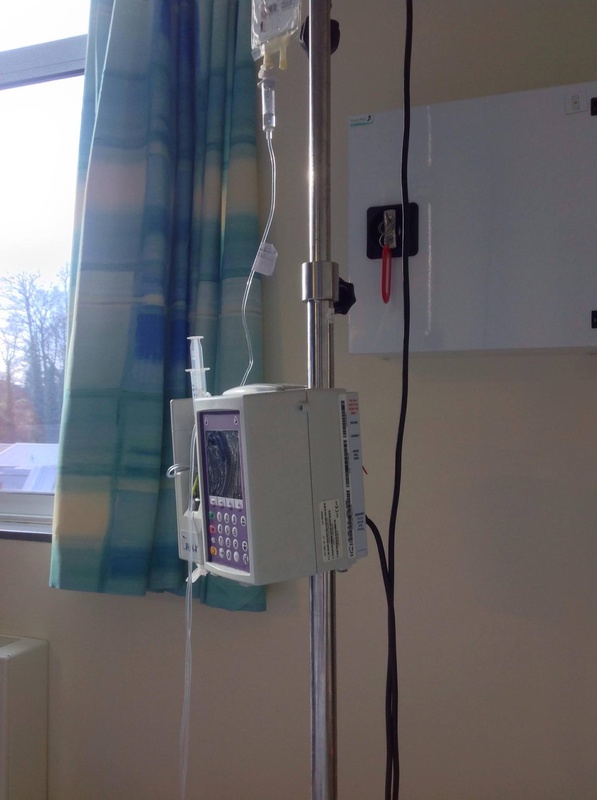 After I finished radio in January 2013 I wrote the blog post Radiotherapy in numbers and I thought I’d do the same for chemo. So here goes…. 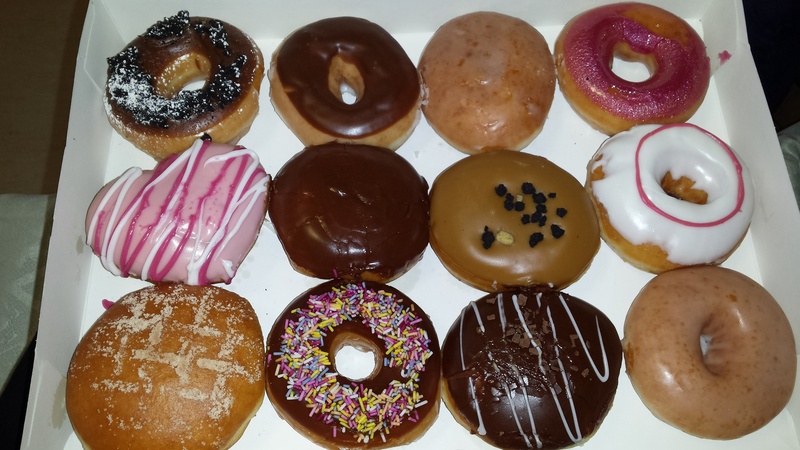 12 Krispy Kreme donuts (courtesy of Claire)…. There have been too many kisses, cuddles and tears. I’ve been a busy bee since finishing treatment. I’ve been to Edinburgh to watch a show and have drinkies with the Scottish McTickles – thanks Dave & Sabs!! We went to London last weekend for a cheeky trip of luxury and partying. So it’s just one more trip before my surgery next month then we will have to calm it for a few months while I recover! 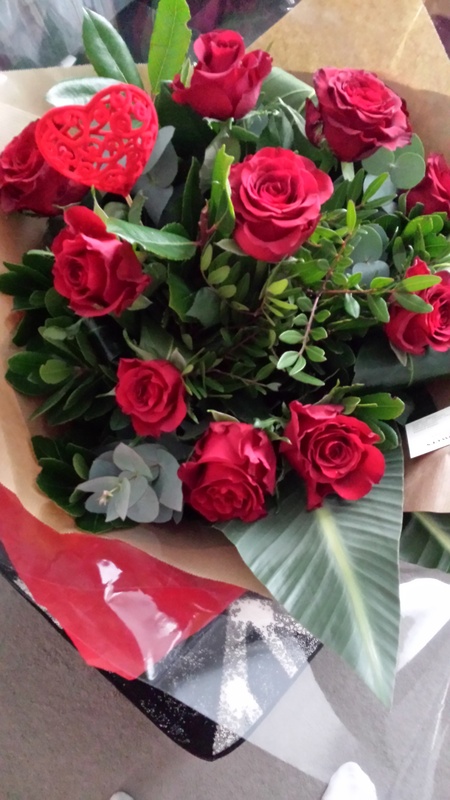 p.s here’s the gorgeous roses from my secret admirer at Valentines! I’ve had a busy few days with visitors. Thanks to Vicky, Mindy, Leanne, Joe, Vicky, Paul & Helen & the mini macs. Not forgetting my lovely mum & dad, Mike & Beckii and the amazing John who have all been here daily. Was lovely to see you all….see you on my next cycle!!! P.s thanks for my voddy Leanne!!! !